X Gin is a popular Craft Gin available from DrinkSupermarket.com in 50cl to buy online. Visit DrinkSupermarket.com for the best price for 50cl of X Gin or compare prices on our other Craft Gin products. X-Gin combines juniper berry with fifteen herbs and several of the best spices known to man. It has the taste of passion with a hint of cocoa and the tiniest whiff of vanilla. Its pure and soft aromas provoke an intense feeling of pleasure. 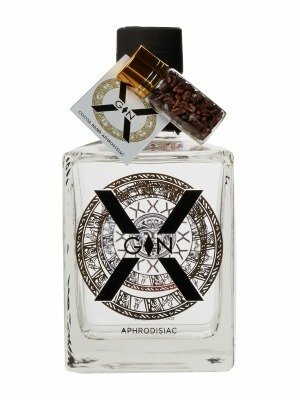 The name X-GIN refers to the origin of cocoa beans that were used by Incas and Mayas to brew a gods nectar of which they believed that this was a drink destined for Gods and Kings, that it had the gift of long life, extra intelligence and that it also was an aphrodisiac. Where to buy X Gin ? X Gin Supermarkets & Stockists. You can buy X Gin online in most retailers and find it in the Craft Gin aisle in supermarkets but we found the best deals online for X Gin in DrinkSupermarket.com, Amazon.co.uk, TheDrinkShop, and others. Compare the current price of X Gin in 50cl size in the table of offers below. Simply click on the button to order X Gin online now.